After Parmeet and Raman’s fight, Ishita learns another shock. She wants the family to have happiness raining without any clouds of sorrow. The entire Bhalla family reach the hospital knowing about Raghav’s daughter. Ishita stays tensed and tries to know if the girl is recovering. She wants the girl to survive, so that an innocent life gets saved. Raghav’s daughter is the witness of Parmeet’s crimes. Parmeet traps Raman once again. Ishita gets worried by the new problems cropping for them. She doesn’t want Raman to suffer more. She wishes Simmi’s hatred ends and she gets some sense, as Raman is her protective brother, not her enemy. Raghav’s daughter is rushed to the hospital by Simmi. Simmi wants to save the girl, and thinks of Ananya’s death. Ishita scolds Simmi for supporting Parmeet. Parmeet tells the police that Raman has poisoned the girl, Ishita is acting to save her husband, Raman is the criminal and should go behind bars. Ishita asks Simmi to leave her evil husband and support them once. Parmeet wants to get Raman arrested. He kidnapped Raghav’s wife to frame Raman again. Inspector takes Raman for questioning. Ishita fails to do anything to save Raman. Parmeet is planning to get Bhallas’ property. He is taking advantage of Simmi’s hatred for Raman and Ishita for his personal greed. Parmeet has played a wicked move to target Ishita and Raman together. Ishita feels helpless this time. She doesn’t know how she will prove Raman’s innocence. Parmeet thinks to get rid of Simmi once he gets the entire property. Parmeet doesn’t want Raman to file any complaint against him. 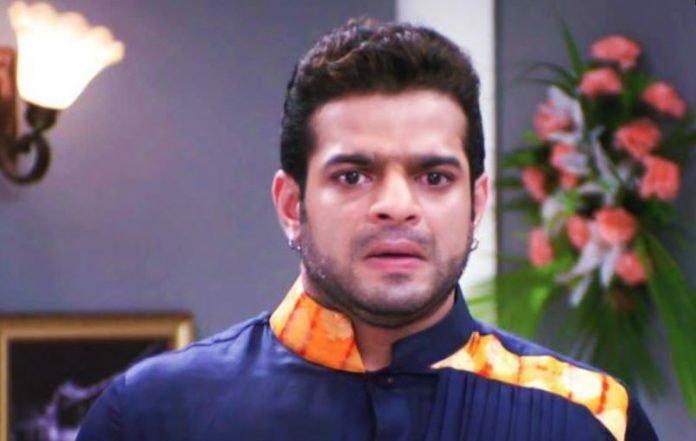 He accuses Raman, before Raman could accuse him. He tells inspector that whatever Raman is stating is in his defense. Ishita gets angry on Parmeet, knowing his clever planning. Raman gets arrested since all the evidences are against him. Simmi and Parmeet succeed in their goals to ruin IshRa.